To my father, who is coming home. The Visitor is one of the best episodes of Star Trek: Deep Space Nine ever broadcast. In fact, The Visitor is one of the best episodes of Star Trek ever broadcast. In a 1996 poll by TV Guide for the franchise’s thirtieth anniversary, The Visitor was ranked the best Star Trek episode of all time. Since then, the episode tends to poll towards the top of those frequent “best episode” polls. 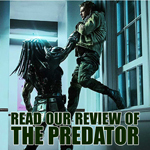 It is a well-loved piece of television, and generally regarded as an example of the sort of emotive storytelling that the franchise does so well. The Visitor is very much in the style of The Inner Light or Tapestry, using the science-fiction framework of Star Trek to tell a very human and very relatable story. The Visitor is the best piece of material I’ve ever been able to direct, in terms of the script. It’s a compelling story about a father and son’s relationship. My son was in his early teens at the time, and personally it meant a lot to me. I thought that the story was so compelling and so moving. It was a story about loss, and about regaining that loss in some way. And it was told so simply in terms of script, and that’s what I tried to do from a directing standpoint, was just to tell it as simply as possible. It’s probably the show I’m most proud of, because of the impact. People would tell me that they cried after seeing the episode. 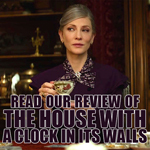 It certainly seems like an accurate assessment of the impact and weight of the episode. The Visitor features a number of fantastic performances. It features typically sterling work from Avery Brooks and Cirroc Lofton, who really capitalise on the father-son relationship that has been built and developed across the first three seasons of the show. Both actors knock it out of the park here, particularly during their brief scene together in the infirmary. 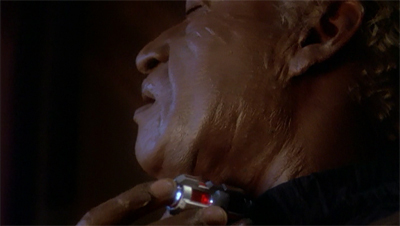 However, The Visitor is perhaps most notable for a fantastic guest turn from Tony Todd, making his only appearance as a human character in the Star Trek franchise. Todd has been a recurring player on the franchise since his first appearance as Worf’s brother Kurn in Sins of the Father. He would play Kurn a number of times, culminating in a final appearance in Sons of Mogh later in the fourth season of Deep Space Nine. He would also play a Hirogen on the fourth season of Star Trek: Voyager. The Visitor is notable for being the first and only time that Todd appeared on Star Trek without excessive makeup, which is ironic considering the production team had originally considered having Cirroc Lofton play the role under heavy makeup. The Visitor changed my life, not just in terms of convention appearances, but at the time that episode was done the Internet was just exploding and I remember sitting for hours just basking in the glow of the love that was being written about that single episode. The story behind my doing it is that the woman who raised me, my aunt, was a single woman, and she’d passed away at the beautiful age of 82. I’d just finished Candyman 2 and it devastated me because she was a person I talked to every day. Fortunately, she was able to see some of the beginnings of my success. But I was in a state of shock and I wasn’t able to work for four months. They sent me the script for The Visitor. It wasn’t a complete offer, but they sent it for my consideration and wanted me to come in and see them. So it was the role that got me up off the bed, out of the house, and into the producers’ office. When I went in, I saw a lot of actors who I felt were of the age and who were people I respected. But I went in and I got it. So that was sort of my homage to the parental figure in my life that I loved and cherished. Todd does amazing work in the role, really selling the character’s desperation and loneliness. The Visitor is the first standalone episode of the fourth season, a spot that seems to lend itself to these introspective mood pieces. On Star Trek: The Next Generation, the production team followed the epic The Best of Both Worlds, Part II with the more intimate and personal Family. On Star Trek: Voyager, the show moved from the Borg drama of Scorpion, Part II to the more emotional storytelling of The Gift. Even Star Trek: Enterprise got in on the act, following Storm Front, Part II with the more quiet and reserved Home. Those are all rather small-scale stories for Star Trek, ultimately focusing on interpersonal interactions and the legacy of tragedy. The Visitor is perhaps unique among these episodes in that it is not dealing with the tragedy of the episode directly preceding it. The show will explore the consequences of The Way of the Warrior, but they are not the driving force here in the way that Picard’s assimilation drives Family or the arrival of Seven of Nine drives The Gift. In fact, The Visitor was actually filmed following Hippocratic Oath, only to be broadcast before it. 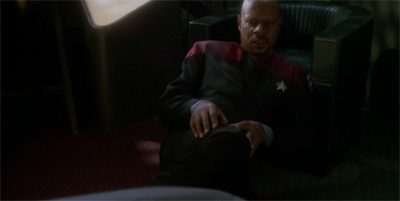 Sisko’s memorial service was held to standing room only, for he shrewdly refrained from providing chairs. However, it is interesting to wonder whether there is something about this slot that lends it to these kinds of stories. There is something quite symbolic about putting an episode like this at the start of the fourth season, positioning it just across the threshold that the original Star Trek never got to cross. Given that the original Star Trek ended after only three years, the fourth season of any Star Trek show will always be important, even if Enterprise only just limped across it. More to the point, it is entirely possible that these sorts of “breather” episodes fit comfortably after the epic episodes that tend to occur at this point in the run of the show. Family followed on from The Best of Both Worlds, Part II, which resolved a cliffhanger at the end of the first truly great season of The Next Generation. The Gift was designed to facilitate the departure of an old cast member and the arrival of a new one following a massive Borg two-parter. Home was written so as to tidy away the pieces left over after a year-long retool of Enterprise. And like that… he was gone. It is likely just coincidence, but it is fun to note that so many similar episodes tend to pop up at around the same point in the life of various Star Trek shows. The Visitor is, at its core, a story about the relationship that exists between fathers and sons. As with all truly great science-fiction, it is a story that lends itself to all sorts of metaphors and allegories. 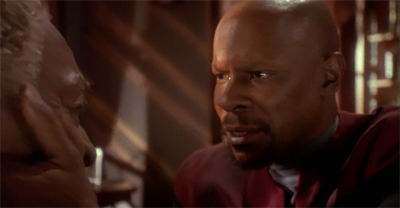 Jake and Benjamin Sisko might find themselves separated by technobabble (“the warp core discharge pulled [Ben] into subspace”), but the story of such a separation is very human and very recognisable. It is, for example, perfectly possible to read The Visitor as an allegory for divorce. Jake Sisko loses his family at an early age, only to discover that he is haunted by his father. Jake can never be sure when and if Ben will appear and reinsert himself back into the young man’s life; although we are assured that it follows a logical pattern (“they were governed by fluctuations in the wormhole’s subspace field”), but it takes Jake a while to figure out how that pattern works. As such, Jake is stuck in a state of flux, with his father simultaneously present and absent from his life. The Visitor hints at the idea that it might be read as a metaphor for a child growing up during a divorce. At the climax of the story, Jake puts particular emphasis on the idea that his father might return “home” and that the family unit might be healed. The dedication on his final manuscript simply reads, “To my father, who’s coming home.” There is a sense that Jake is fixated on the idea of piecing a broken world back together, trying to reset it back to how it used to (and how it ought to) be. Alternatively, The Visitor could be a meditation on grief and loss. Jake never had a chance to heal from the loss of his father at a formative age. “I’ve been dragging you through time like an anchor and now it’s time to cut you loose,” he tells his father at the climax. Of course, he is speaking in metaphorical techno-babble, but the truth is that Benjamin has been haunting his son even in his long absences. Jake’s grief has made it impossible for him to continue with his life, to work through what he needs to work through. One of the smarter decisions of The Visitor is the decision to push the parts of Jake’s life that don’t concern his father to the sideline. The episode hands Tony Todd the task of essentially narrating a life story, but Tony Todd is cast perfectly enough that it works. The publication of Jake’s first book is relegated to dialogue between characters. Jake’s reunion with his grandfather happens completely off-screen. We never get to see the famous Sisko family restaurant, and we only ever get to see the interactions between Jake and Korena when Sisko is thrown into their lives. In fact, the dissolution of his marriage is presented as mere exposition. “At first, Korena was very patient,” he tells Melanie. “She supported what I was trying to do. But I got so caught up in my work I didn’t notice I was losing her. By the time I became a graduate student, we were no longer living together. By the time I had entered my doctoral programme, it was over between us.” We never get to see Korena leave; we don’t have a sense of what their last conversation about. There is not even a quick shot in montage to convey the tragedy. This storytelling decision on the part of the production team could be seen as the show violating the old “show don’t tell” storytelling cliché. After all, writers working in visual media are understandably advised to put the big moments of their stories on screen. That is the difference between writing for television and writing a book. In most cases, the impulse would be to put all those big emotional moments in front of the camera. However, the decision to put those moments off-screen in The Visitor is a very conscious choice. It says a lot about his priorities that all of Jake’s life outside of his fleeting interactions with his father can be reduced to exposition. It underscores the character’s obsession with his loss, and how little anything else actually matters. Declining to show those moments to the audience is the entire point of the episode. The Visitor is built around the idea that Jake is narrating his life story, so there is something quite telling in his decision on to place the emphasis away from his material accomplishments and his own attempts to start a life. Indeed, this is arguably the biggest difference between The Visitor and The Inner Light. In The Inner Light, Picard does make an effort to escape his new life, but he finally discovers that he could enjoy the life of a loving husband and father on a quiet planet. In fact, Picard throws himself into the local community, investing himself in efforts to save his adopted family. In contrast, Jake allows himself to become paralysed by grief and obsessed with his loss; he allows his father’s departure to define and shape his life. The script does a nice job of setting all of this up. 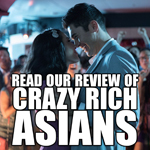 The first time that we flash back to Jake, we see him obsessing over his unpublished manuscript. He takes the PADD with him everywhere and is fixated on his work with the single-minded devotion of an aspiring novelist. Ben advises Jake to embrace life and its opportunity. “It’s life, Jake,” Ben explains. “You can miss it if you don’t open your eyes.” There is a sense that this tendency plays into Jake’s single-minded obsession over the loss of his father, to the point where even Ben acknowledges it. Until we hit on Jake as a writer (in The Abandoned as I recall) we didn’t really have a role for him within the context of the show. No one wanted to go down the Wesley Crusher Super-Genius road again, and it just took a while to find Jake’s niche on the station. As a result, Jake only tends to show up when he is essential to the episode in question. He is spared the contrivance of having a single line in most episodes. As a result, his appearances tend to have value and bring weight. This is obvious even in small appearances like Babel or Second Sight, but particularly in episodes that are built around the character. Jake general appears for a reason, and that reason is usually to underscore his relationship with his father. Explorers is a great example of this sort of storytelling, as Ben and Jake Sisko essentially go sailing through the stars together. It also comes up in episodes like Rapture or In the Cards. The relationship between Ben and Jake Sisko is a cornerstone of Deep Space Nine, and so it can support a quiet and introspective character piece like The Visitor. Part of this is down to the fact that actors Avery Brooks and Cirroc Lofton share a tremendous chemistry together, portraying a relationship that feels very human and very genuine. It might just be the strongest parent-child relationship in the entire franchise. For all that Wesley Crusher was introduced as the son of Beverly Crusher, the two characters never seemed particularly close. Instead, it seemed like Wesley gravitated towards Picard as a surrogate father figure. 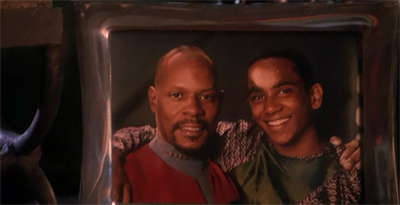 In contrast, Jake enjoys a number of strong relationships with the ensemble (particularly Nog), but his strongest bond will always be with his father. The Visitor is a story about loss and grief that is very carefully hung on that relationship. As much as The Visitor is about loss and grief, it is also about time. It emphasises one of the big ideas of Deep Space Nine – the idea that time moves and that people move with it. While other Star Trek shows tend to adhere to a more episodic format, with characters rarely changed by their experiences from episode to episode, Deep Space Nine made a point to note the passage of time and all that it meant to the characters. Even by the fourth season, none of the characters are the same as they were when they first arrived. Whereas the final sequence of All Good Things… emphasised that the adventure would continue for the cast of The Next Generation, the final sequences of All You Leave Behind underscored how much the cast of Deep Space Nine had changed in the seven years since they came together. The Visitor is an episode positioned half-way between Emissary and What You Leave Behind, and there is something eerily beautiful in the way that it harks both backwards and forwards – one eye on the show’s origins, another on its ending. The Visitor is essentially a tale told in flashback, with an older Jake Sisko narrating his life story to an aspiring writer. It is a rather unusual structure for a Star Trek episode, with most of the “present day” scenes set in the distant past – playing out as faded memories. 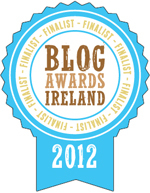 There is something rather contemplative and reflective about this, lending the story a sense of predeterminism or fate. We know that none of Jake’s efforts to reunite with his father will work, because he is still desperately searching in the framing story. 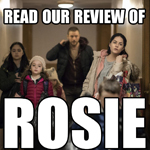 The Visitor harks back to Emissary by focusing on the loss of Jake’s other parent. So much of the relationship between Jake and Benjamin Sisko is rooted in the loss of Jennifer that he death hangs over the show. The Visitor even has Jake call attention to the fact. “We were very close, my father and I, partly because we’d lost my mother several years earlier.” The loss of Jake’s father cannot help but reopen some of those wounds for the young man; another Sisko lost on a Starfleet vessel. Director David Livingston is acutely aware of the sense of history repeating itself. He frames a number of shots in conscious homage to David Carson’s work on Emissary. In particular, the sequence of Jake departing Deep Space Nine for the last time is shot so as to consciously evoke the shot of the Siskos abandoning the Saratoga back during Emissary. It helps to underscore the sense of loss and melancholy underpinning the episode, but also the sense that this particular loss does not take place in a vacuum. At the same time, The Visitor harks forward to What You Leave Behind. Of course, the future presented in The Visitor is markedly different from the version that actually unfolded on the show. Jadzia is still the host to the Dax symbiont; the Klingons occupy Deep Space Nine instead of the Dominion; Jake abandons Deep Space Nine rather than remaining there. It is interesting – in a geeky, fannish way – to read this as a grim “what if” scenario about the butterfly effect of Benjamin Lafayette Sisko. Interestingly, it seems that Vreenek’s description of Sisko as “the man who started the war with the Dominion” in In the Pale Moonlight is entirely accurate. 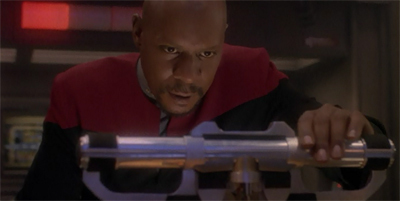 Without Sisko, there is no Dominion War. Tracing cause-and-effect backwards, does that suggest that without Sisko the changeling!Martok was never exposed in Apocalypse Rising? With the Klingons causing chaos in the Alpha Quadrant, there was no need for the Dominion to involve itself? As such, there was no need for Jadzia Dax to die? Of course, the reality of the situation is likely much more mundane. Given the way that the production team plotted Deep Space Nine, it seemed unlikely that they had even a broad strokes outline of where they planned to take the show and how they planned to finish up. This was probably particularly true when The Way of the Warrior had just thrown a gigantic Klingon war into the middle of the show’s larger arcs. Even if the production team had known, it seemed unlikely they’d want to spoil the wonderful twists of In Purgatory’s Shadow and By Inferno’s Light. Nevertheless, The Visitor does foreshadow a some of What You Leave Behind. 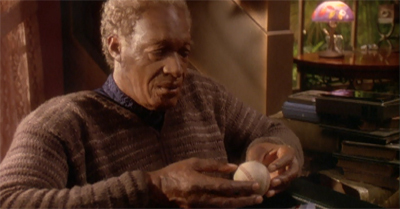 In particular, the episode suggests that Jake’s time on Deep Space Nine will end with the loss of his father due to a wormhole-related phenomenon. (One of the father-son sequences in The Visitor takes place in the white space associated with the Prophets.) 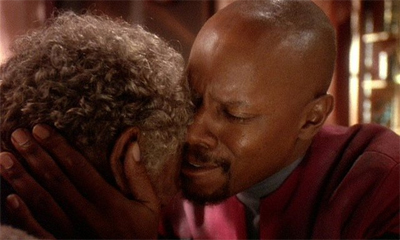 In both The Visitor and What You Leave Behind, it seems like Benjamin Sisko is not truly lost. In The Visitor, he haunts his son; in What You Leave Behind, he promises to return at some ambiguous point in the future. Of course, viewers can only hope that Jake copes with this loss in What You Leave Behind better than he does in The Visitor. It is heartbreaking to imagine Jake living out his life as glimpsed in The Visitor, constantly waiting for the return of a father who could arrive in a few seconds or a few decades. Then again, Jake is almost four years older and wiser by the time that Benjamin is lost in What You Leave Behind. It seems possible that Jake has learned to cope and grieve in that time. Once again, some of the individual scenes also hark forward to the end of the show. If the departure from Deep Space Nine evokes the teaser to the very first episode of the show, then the conversation between Kira and Jake at the docking pylon seems to allude to the final scene of the final episode with Kira joining Jake to watch the wormhole open. The sequences are framed differently, with The Visitor shot from inside the station and What You Leave Behind shot from outside. However, the themes and characters (and even the blocking) are similar. Both sequences capture Jake’s loneliness and isolation, even as the crew tries to comfort and protect him. It is interesting to wonder how much of this was intentional and how much was coincidental – how much (if any) of The Visitor impacted the creative choices that the production team made in What You Leave Behind. Either way, The Visitor works quite well as a bridge between the beginning and the end of Deep Space Nine. It suggests that the passage of time moves like a wheel. Characters might not begin and end in the same places, but there is usually a symmetry to it. “There’s only one first time for everything, isn’t there?” Jake asks Melanie, rhetorically. “And only one last time too.” As it turns out, The Visitor does not sit exactly at the half-way point of the show’s run, but it is close enough. Deep Space Nine is still closer to its beginning than its end, but that will change by the end of the fourth season. The end and the beginning are both in sight at this point, and The Visitor offers enough scope and distance that the viewer can almost see them right alongside Jake. One of the more persistent criticisms of The Visitor is that the episode is effectively a “reset button” story with a minimum amount of impact on the show around it. Jake manages to erase the loss of his father, allowing the show to continue on as if nothing has happened. All that grief and suffering and loss is wiped away so that the series can return to business as usual. This is the type of criticism that is frequently leveled at Voyager, and particularly at time-travel episodes therein. The criticism of the “reset button” is perfectly valid and completely understandable. 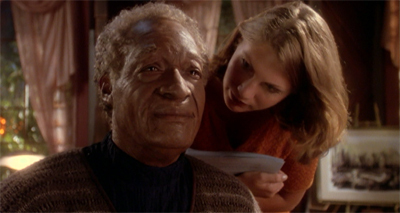 As a show, Voyager seemed reluctant to allow any real growth for the vast majority of the cast and mostly avoided any real consequences for any of the actions on the show. Everything tended to go back in the box at the end of a given episode, with no lasting impact from anything that occurred. The “reset button” was the storytelling conceit that put everything back in its place at the end of the hour, readying the crew for another adventure that could quickly be forgotten. However, this feels like an unfair criticism of The Visitor on a number of levels. Although it does feature time travel and alternate time lines, The Visitor does not end with an entirely clear slate. 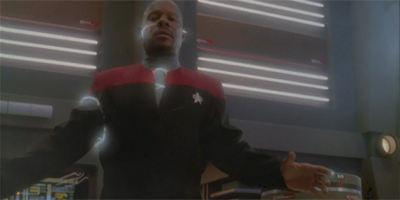 Most obviously, it is clear that Benjamin Sisko does remember the events of the alternate timeline. More than that, though, the episode (most likely accidentally) does offer a glimpse at the shape of things to come. The Klingons might never occupy the station, but Jake will have to deal with this loss at some point in the future. 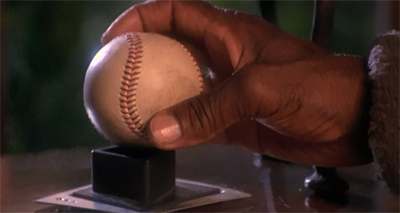 Even more than that, The Visitor is an episode that exists to illuminate and highlight the relationship between Benjamin and Jake Sisko. It is not a plot driven episode, so the fact that the plot is largely undone at the end of the episode is irrelevant. Instead, the show exists to demonstrate just how deeply Benjamin and Jake love one another; a fact that does not change depending on who is occupying Deep Space Nine. Those oft-criticised episodes of Voyager might have been better received if they had focused on the characters at their core. The Visitor is also notable as Michael Taylor’s first script for the Star Trek franchise. Indeed, it is his first script in general. Taylor would go on to enjoy a long and varied career. He would write four scripts for Deep Space Nine, two of which are generally measured among the best episodes that the show (if not the franchise) ever produced. He would join the writing staff on Voyager in its fifth year, scripting a number of the show’s more underrated episodes and working quite closely with Bryan Fuller. After finishing up on Voyager, Taylor would work on The Dead Zone with Michael Piller and Battlestar Galactica with Ronald D. Moore. (Taylor seemed to work quite closely with Moore; Moore singled Taylor out as one of the Voyager writers to be “treated very shabbily” by the powers that be, and the two recorded a commentary on Star Trek III: The Search for Spock together.) Taylor would eventually create his own show, Defiance. This is a pretty impressive resume, as one might expect from a writer whose first credit was on The Visitor. The fact that The Visitor was such a large collaboration between the writing team is a testament to all involved, and a demonstration of just how efficiently and effectively the writers’ room worked on Deep Space Nine. That said, there are some awkward moments in the script, particularly when the episode needs a strong act break. “You see, I’m dying,” Jake explains to Melanie at one particularly dramatic act break. However, once the show returns, Jake is quick to clarify, “You must understand, when person my age says he’s dying, he’s only admitting to the inevitable. Besides, we old people need to remind everyone to pay special attention to us.” It is certainly an inelegant way of raising the stakes before cutting to commercial and then lowering them on return. Of course, there is an added layer of irony to the transition between acts. Jake is dying; it is later revealed that he has been poisoning himself. His confession to Melanie is entirely honest. There will be no other time, because Jake is dying. His subsequent dismissal of the confession is a clumsy attempt to back pedal away from that revelation. Still, the rest of the episode sets up Jake’s death in a much more organic and logical fashion; while the melodramatic end-of-act dialogue is just an obvious attempt to catch viewers’ attention. Sometime in 1953, Salinger returned to Cornish, where he began palling around with some of the high school students, meeting them at a local eatery, going to their games, and entertaining them with record parties at his home. When Shirlie Blaney asked to interview him for what he thought was the school newspaper, Jerry, as she and the other high schoolers called Salinger, agreed. However, he was outraged when the article appeared on the editorial page of the Claremont (New Hampshire) Daily eagle on November 13. Abruptly, he ended his friendship with the high schoolers. Still, there is something quite appealing about the story presented by The Visitor; an enthusiastic young fan who just happens to be in the right place at the right time to meet and interview her favourite writer. It is not the truth, but it makes for a much better story. Jake Sisko would appreciate that. The interactions between the two characters are charming and sincere. The Visitor is a fantastic accomplishment for all involved, and a triumph for Deep Space Nine – and Star Trek as a whole. It is an emotional piece of work, the story of the love between a father and a son that extends beyond time and space. I really wish Tony Todd would get better work than primarily an endless slew of Horror films. I always thought that David Livingston was one of the best Star Trek directors, so I am glad he especially asked for this assignment. He has always has a way of taking the familiar and distorting it, whether it be deadlock or necessary evil. 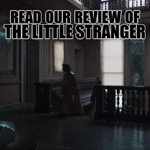 Livingston is a fantastic director. He can do action and character beats equally well. Deadlock is a fantastic piece of television, even if it does pretty much set up five seasons of reset buttons, and I quite like Impulse as well. Besides the direction another reason Deadlock works so well is that Kate Mulgrew has excellent chemistry with herself, when she has to do dual roles. It is the reason Endgame was somewhat bearable. I hate the fact that time travel is so routine in Star Trek! I think DS9, and this episode in particular, gets the balance right. Don’t talk to me about the mirror universe, though… Inter-dimensional travel! Like stepping out for a quart of milk. VOY got that way with Borg Cubes, too! So much for futility. Just beam over and steal whatever tools you like. It’s the Pep Boys of space. I guess every Trek show has its own thing. I’m “meh” on time-travel. It can be a convenient storytelling tool, and so it’s handy to have. If the story is good (as this one is), I really don’t mind it. 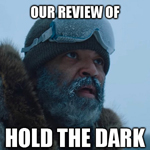 If the story is terrible (like, say, Fury), then it feels like a contrivance. I think it’s hard to argue that time travel isn’t overused on Star Trek, but is the occasional Carpenter Street is the price we pay for The City on the Edge of Forever, I’m okay with that. I really like the scene with Kira and Jake. They don’t share much screen time in the series. This and the finale seem to imply she’s his ‘aunt’. I was never the biggest Kira fan. I think Visitor is better suited for subtle, compassionate moments like that. I love Kira. She’s one of my favourite members of the ensemble. 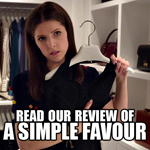 One thing you bring up in other reviews is Quark’s moral center. I think that’s shown in this episode, where he lets Nog off his shift early so he can play with Jake in the holosuites. Very touching moment. You’re right. Quark is (strangely enough) one of the hearts of Deep Space Nine. I watched my father die for 18 months, I can’t stop crying when I watch this. Aside from its structural similarity with other ST-episodes at this point of a seasin, it also strikes me as a perfect rewrite of the awful third season “Meridian”, especially the idea of one person in subspace being anchored to another person in our dimension. The main difference: While “Meridian” was more painful to watch than for the characters to live through their experience, this show is really touching. It shows Cirroc Lofton acting really great and believable (especially the sickbay scene – Siddig’s “playing older Bashir” works less well in my mind…). Still, I would not rank it as THE best ST show. That’s a really good point. I feel embarrassed that I never twigged that before.